Simplicity. I crave it, lately. Maybe because I’m in a world filled with a bouncing-off-the-wall toddler and red-headed drama, or maybe it’s because the summer is heating up and I’m busy shooting weddings, all the while wondering who this little baby growing inside me will turn out to be. I forget I’m pregnant most days. Other than my sudden urge to rearrange all the furniture and the hair tie holding my pants together, it’s easy to forget while dealing with everything else. That’s why I love cooking so much – it forces you to slow down and spend some time in thought. Even if for just five minutes – there will be some point in meal prep where you must wait. And in that waiting usually comes contemplation (if you can keep your phone out of reach). Last week when I stood over my stove and smelled the tart sweetness of apricots stewing, I was transported back to the very first time I made jam. It was about this time four years ago and the (now gone) huge, old apricot tree in our front yard decided to dump about 10 lbs of fruit on our lawn for a week straight. I didn’t know what to do with all that fruit and I’d never made jam before, but I just started to create. Took a base recipe and made all kinds of flavors: Vietnamese Cinnamon, Vanilla Bean, Red Pepper, Bourbon, Chinese 5 Spice – they were all amazing and I felt so good about not letting any of that fruit go to waste. I also learned the simplicity of jamming. The joy of tasting that fruit completely come ALIVE with just the addition of some sugar and a squeeze of lemon. I never cared about apricots before that year, but since then, they’ve become one of my favorite fruits. I didn’t make jam with these store-bought apricots, but I did let them poach in some leftover ginger ale and a stick of cinnamon and vanilla bean. The scent in my kitchen was as bright as the summer sun. When the apricots were done poaching, I removed them from the liquid and let the ginger ale reduce until it was a syrup. 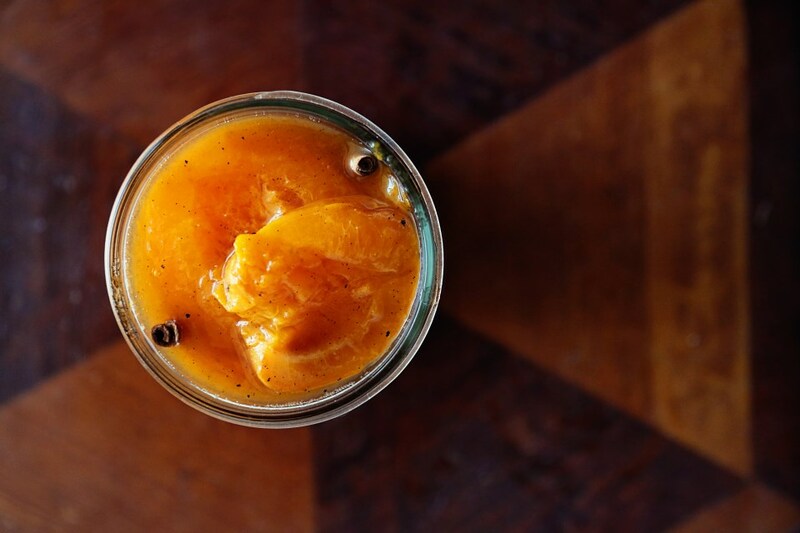 The apricots are sitting in that syrup in my fridge, now. Waiting to be poured over ice cream or spooned over a warm biscuit with butter. Or maybe just eaten straight out of the jar. 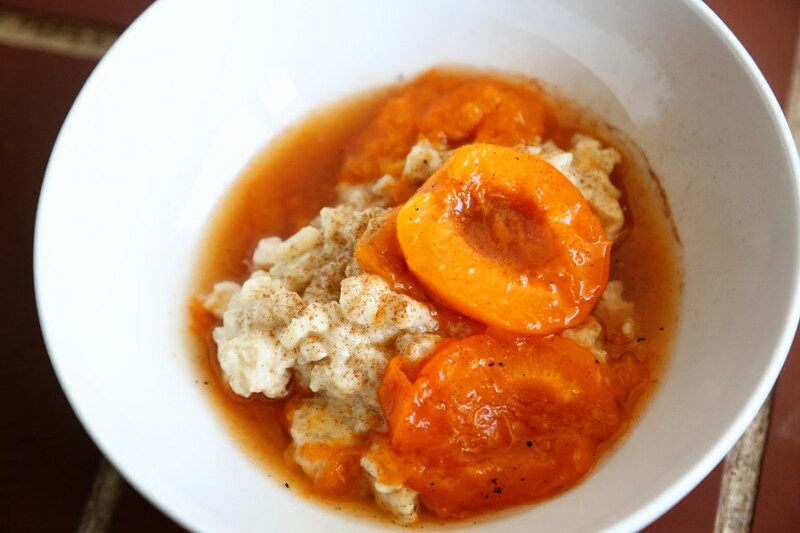 Last week I made a cinnamon vanilla bean rice pudding for Olive’s snack time and added some poached apricots on top. The combination was so comforting and for a few minutes, we both just ate and smiled at each other. Place the apricot halves in a large, non-reactive pot over medium-high heat. Add the ginger ale, cinnamon, vanilla bean and sugar and let the mixture come to a boil. 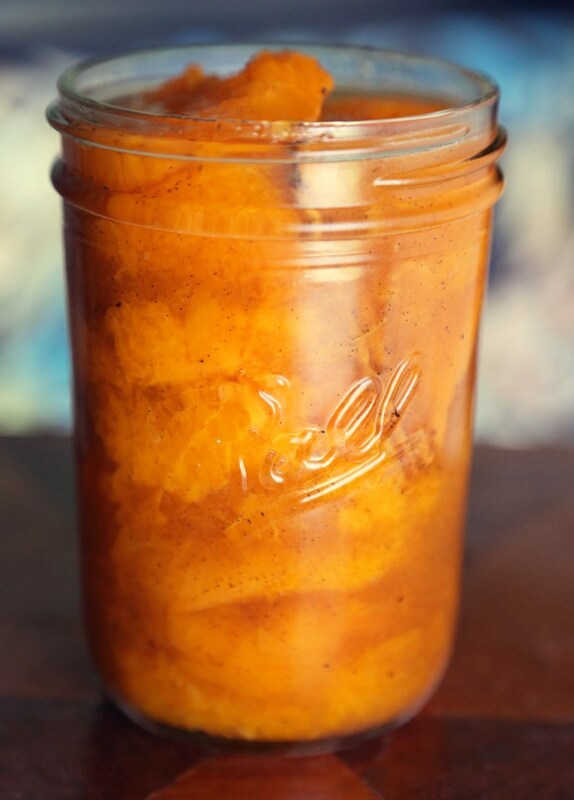 After 10 minutes, remove the apricots with a slotted spoon and set them in a large bowl. 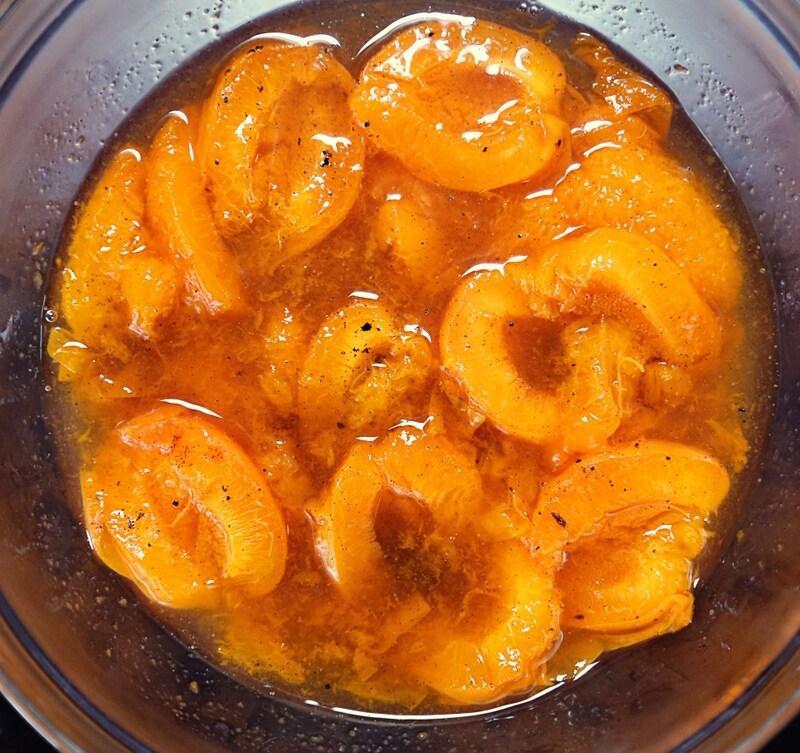 Allow the liquid to reduce to about 1-2 cups of liquid and pour over the apricots in the bowl. Spoon apricots and syrup over rice pudding, ice cream, waffles, whatever you want! In a medium saucepan, heat the milks, rice and salt until the mixture boils. Reduce heat and let the mixture cook about 20-25 minutes, stirring often, until the rice absorbs most of the liquid. Remove from heat and in a smaller bowl, add the brown sugar, cinnamon, vanilla bean paste and egg and whip until smooth. Add 1-2 tablespoons of the hot rice mixture to the egg mixture, stirring quickly to temper the egg. Then, while whisking, add the egg/sugar mixture back into the pot of rice and let it cook over low heat until slightly thickened, about 10 more minutes.